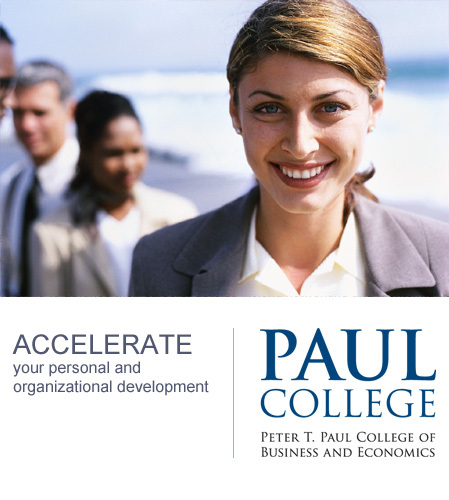 I’ve had the opportunity to help design an open-enrollment Woman’s Leadership Development Program offered through the University of New Hampshire’s Executive Development Program. 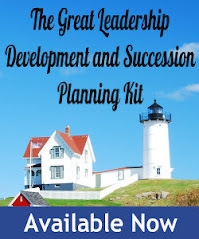 Given that I’ve written about how to design great leadership development programs, I thought it might make for an interesting case study to share with readers how I applied a lifetime of leadership development expertise to this program. 1. Start with a solid research foundation. For our program, we’re building it based on the 2011 whitepaper “Taking Gender into Account: Theory and Design for Woman’s Leadership Development Programs”. It’s written by professors from Harvard Business School, INSEAD, and Simmons School of Management. I’ve been involved in woman’s leadership development programs for over 20 years, and I thought this was the best I’ve seen. In fact, we’ll be using one of the authors, Deborah Kolb, to help us deign it and teach a module on negotiations. 2. Be Ready with a solid business case. This isn’t a question only men will ask – I hear it asked by woman just as often. Younger woman in particular, who may not have experienced blatant discrimination, will say the glass ceiling has been broken. According to 2013 McKinsey "Women Matter" research report, women are still way underrepresented in senior leadership. Discrimination still exists – it’s just more subtle – referred to as “second generation gender discrimination”. Yet there is a real pay-off for companies that choose to close this gap. According to the McKinsey report, companies with the highest percentage of women show the best performance. In comparing the top-quartile of companies in terms of share of women in executive committees against companies that have all-male executive committees, McKinsey found that the former companies exceeded the latter by 41% in return on equity and by 56% in operating results. Investing in the development of woman leaders isn’t just a “nice” thing to do – it has a direct bottom-line pay-off. 3. Decide who the audience should be and be selective. An important element of a great leadership development program is the opportunity to network and learn from other talented participants. You need to have clear program criteria so that participants can make good self-selection decisions, and also be willing to tactfully coach someone out of the program if they don’t meet your criteria. For our program, we chose to focus on “Mid and senior level women leaders in the corporate, public and non-profit sectors”. We be look for accomplished woman leaders with a track record of success, that are looking to advance their careers. Hard business skills are assumed to be a given. Based on our own research and the input of a high level advisory committee, we started off with dozens of potential topics. However, we narrowed it down to the handful that we felt were critical differentiators for senior woman leaders: Leadership identity, negotiations, career strategies, high impact communications, and leading change. These were the ones that we felt would give woman leaders the tools to address both glass ceiling and “sticky floor” barriers to success. Instructors need to be well versed in their specific topic (i.e., negotiations”) as well gender dynamics. Some would argue that program instructors don’t have to be woman – but we thought it was important for group dynamics and credibility that they should be. I also think it’s important to have a mix of accomplished academics AND practitioners, not just one or the other. OK, so I’m 100% biased on this one – after all, we moved to this area because we just love it so much. Our program will be conducted in our brand new, state-of-the-art Paul Collage of Business, with dedicated executive development classrooms, breakouts, and dining. Participants can choose from a number of hotels and inn near our quintessential New England campus and the charming seacoast city of Portsmouth, NH. No matter where the program is located, the important thing is to make sure corners are not cut and every aspect of the program represents a first class experience. 8. Socialization, networking and support. Again, important for any leadership development program, but even more so for a woman’s program, where the establishment of a safe space for learning and sharing is critical. A “holding environment” creates a space where woman can experience a sense of belonging and identification, where woman can offer feedback, serve as references for social comparison, and become “emotional anchors” for each other’s personal learning. We do this through the use of small group peer coaching, built-in networking opportunities (during and after the program), and exposure to as many role model guest speakers and mentors as possible. 9. Opportunity for on-the-job application. While personal development and success is important, companies often want to see a more immediate, tangible return in their investment. For our program, we work with our participants to help them design an action plan directed at addressing one or more of their organization’s institutional barriers to the success of woman leaders. That way, both the individual AND the sponsoring organization gets a good ROI. Although many of the challenges facing woman are common, the program should also offer opportunities for woman to work on their own unique challenges. We do this though individual assessment, peer coaching, and follow-up peer coaching with an instructor/coach. This comes with the territory with woman’s leadership development. Now bring it on. How about you? Your thoughts on woman's leadership development programs? What would you like to see included or not included?